Home » Forex and CFD Trading » Which CFD broker Offers The Best Chances To Succeed? The regulations taken by ESMA have several times created waves not only in the forex business. In this article, we will briefly explain what the ESMA regulations are, take a look at the predicted results of individual brokers. Which one gives you the best chances to succeed? How different are the brokers in terms of performance? ESMA is the European Securities and Markets Authority, whose mission is to ensure the stability of financial markets. To support it, on 22 May 2018, ESMA issued the decision regulating CFD contract and binary options trading. This – one of the most rigid decisions – came into effect on 2 July 2018. 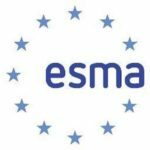 What does the ESMA decision mean? The changes follow regulations adopted in the USA. They put restrictions on leverage trading, adjust sustainability margins and protect from negative balance. When I started as a trader (in 2010) it would be normal to see a broker offering leverage of 1:300. even 1:400, 1:500 or 1:1000 (!). By today’s standards, these figures seem mad. Just calculate how much you would lose or earn on the EUR/USD pair if the move was just one pip! The ESMA regulations set for all major currency pairs (USD, EUR, GBP, JPY, CAD and CHF) the maximum leverage at 1:30, 1:20 for minor currencies, gold and the main indexes (such as S&P 500, Dow Jones, NASDAQ 100 or DAX 30), 1:10 for commodities, 1:5 for shares and 1:2 for cryptocurrencies. These regulations seem to be drastic but believe me for serious traders sticking to the principles of healthy money management it is no disaster. The regulators have also set the minimum margin at 50% and added protection against negative balance on an account. Again, nothing that should restrict long-term traders that much (speaking of the fundamental principles of money management), but annoying it is. Transparency is an important part of the ESMA regulations. From now on, all brokers must report how many of their clients are profitable and how many losing. The data published below hit the forex community as well as other traders immediately. The numbers, mandatory for each broker, were processed by Finance Magnates Intelligence offering an overall picture. Our list includes a complete overview of results, not necessarily best illustrating the situation. Perhaps we would not consider the numbers if the result was somewhat different. As you can see at the top of the list there are a few brokers labelled as scam. I don’t want to say that they all are crooks – some may not have had time to built the inevitable credibility and image among the customers. So , the clients may still be checking how reliable these guys are. On the other hand, some well-reputed brokers are ranked at the bottom. If you are a broker that accepts every trader, offers micro / nano lots and whose minimal deposit is a few hundreds or thousands CZK it is likely that a lot of your clients will lose. It’s because they use their small accounts primarily for learning. Initially, they may lose a hundred of dollars or so – no tragedy. They will learn lessons and open a bigger account or a new small account. If you accept any client and give them free hand, if you offer minimal education etc. the likelihood of most of your clients ending up as losers is bigger. At the top of the list, you can see two brokers who offer social trading, i.e. copying of someone else’s trades. eToro is the better of the two. If you are their client your chances to win are quite good. Many beginners copy more experienced traders to avoid typical beginner mistakes. The goal of this article is not to judge. The activity – social trading – has already been described. Yet, it involves a lot of great pros and cons. The figures in the above table are not necessarily 100% illustrative. It may happen that a broker whose only concern is to focus purely on his business i.e. quickly handle all orders at a given market price, offer minimal fees, etc. will be placed at the very end of the ranking. Simply because most of his clients use their micro account to test their trading skills, which frequently results in loss – no matter how good the broker is. On the other hand, a broker using, let’s say, social trading, investing more in the education of its traders and marketing may win a better place in the ranking in spite of offering somewhat worse conditions. I view the figures with some tolerance. If, however, the broker you are doing business with is placed close to the bottom, do a small research to find out more details why this is happening. Aren’t his trading costs too high? Is the settlement process always quick? Think about his marketing and business – does he offer micro forex accounts, some form of education? Last but not least, remember that in the market the losers always prevail over the winners. When trading it can’t be different. But the fact that you are reading this article gives you the potential to perform better than the rest i.e. 70% of losing traders. Discipline and self-education such as with us on Finex is a journey to success.